000webhost Review 2019: Is 000webhost a Good Hosting? Popular host Hostinger created 000webhost as the perfect way for you to step onto the first rung of the web hosting ladder for free. 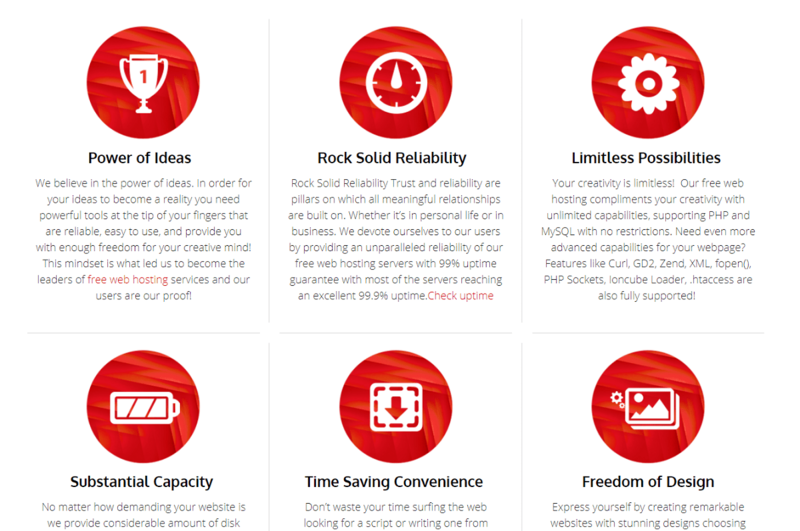 000webhost also offers a simple set of premium hosting packages with surprisingly advanced features. 000webhost was created by well-known host Hostinger to give those new to hosting (and not ready to pay for the service) the opportunity to host a website. Thus, 000webhost acts as an introductory service for Hostinger’s entry-level customers, and it is easy to upgrade to Hostinger’s more power solutions — running on the same infrastructure — when you’re ready to take the next step. 000webhost provides a very comprehensive web hosting service that includes the cPanel control panel and the Softaculous script installer to set up just about any hosting solution. Since the infrastructure is supposedly optimized for WordPress, this is the preferred website builder. However, an alternative free website builder is also provided. This vendor provides security via BitNinja as well as SpamAssassin to stop any emails with malicious intent. You can make use of multiple PHP versions and set up either MySQL or MariaDB databases to be accessed via phpMyAdmin or Remote MySQL. Other developer tools include Cron jobs, the Phalcon and Laravel frameworks, Curl and Curl SSL, plus FTP access. Undoubtedly the first thing that will catch your eye is 000webhost’s claim to offer completely free hosting. In fact, this is one of the very few hosts to offer a completely free hosting plan for an unlimited amount of time. Understandably, there are certain restrictions, and the storage and bandwidth are also low, but what you get is sufficient to run a small website. The bargain basement ‘Single’ paid plan is similarly restricted, but you can pay a bit more for the next-level Premium plan instead to get a free domain and a free SSL certificate. Buyer beware! The pricing table displays prices based on a discounted four-year term, so you’ll probably pay more unless the 30-day money-back guarantee gives you sufficient confidence to sign up for the full four years. There are also a few separately-priced add-ons at the checkout, but at least they’re not selected by default. The good news is that the forum looks to be quite active. It allows you to get support from fellow customers and (occasionally) from support agents. There is also a limited knowledge base that covers the most essential topics, plus an extensive WordPress tutorial. With a very generous free plan to start with, and the potential to upgrade to a comprehensive hosting service with the same underlying host, there are few better options than 000webhost for new webmasters. Take your first hosting steps with 000webhost. Wondering how 000webhost stacks up against other Web Hosting companies? Enter any other Web Hosting company and we will give you a side-by-side comparison.